Located approximately 15 miles southwest of Albany along NY State Route 157, John Boyd Thacher State Park offers some of the most expansive and panoramic views in the Capital Region. 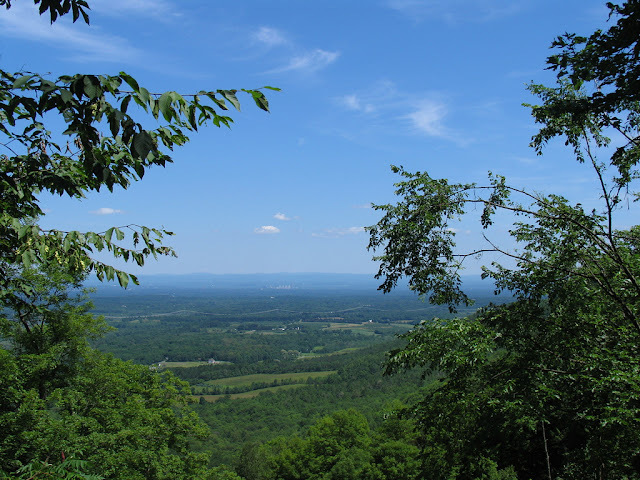 Standing on the top of the Helderberg Escarpment, the over 100 year old state park is home to numerous hiking trails, rock climbing, camping and many outdoor picnic and recreation facilities. The Albany Skyline can easily be seen from the Indian Ladder Trail. 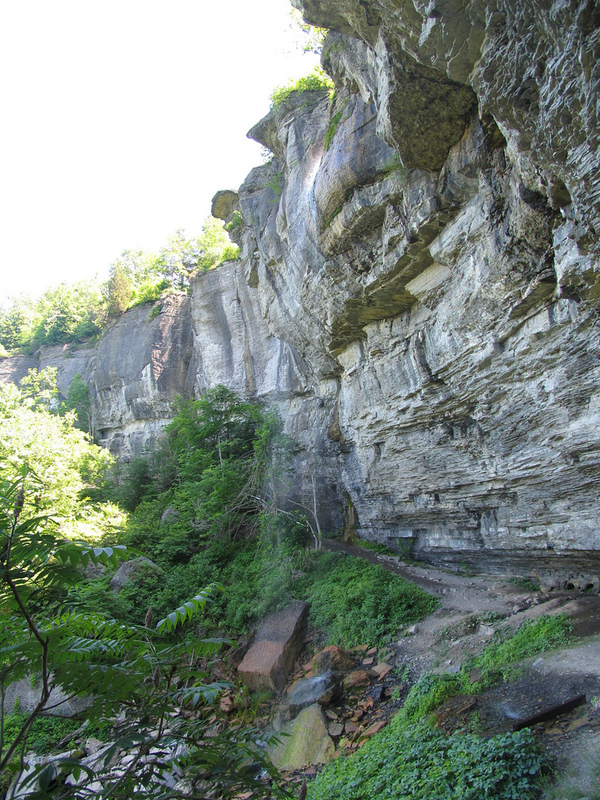 The most popular hiking trail within the park is the Indian Ladder Trail. A 2.5 mile journey along the limestone cliffs is an excellent quick hike that offers amazing views and a few surprises along the way. 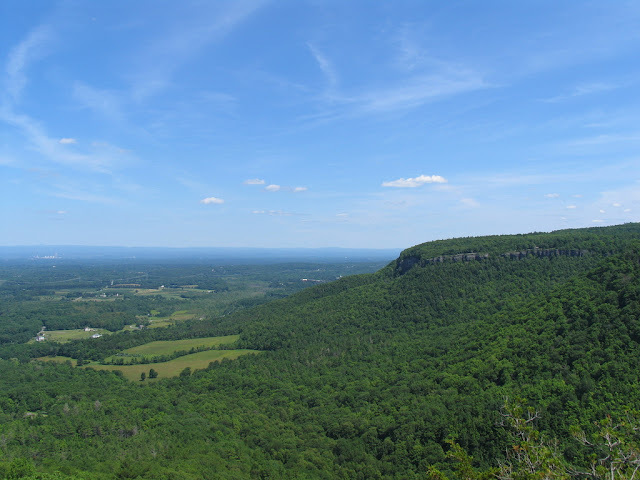 At an elevation of nearly 1200 feet above sea level, the escarpment sits nearly 800 feet over the Hudson Valley. Helderberg in Dutch means "Clear Mountain"; and on a clear day, the views from the park and trail are amazing. 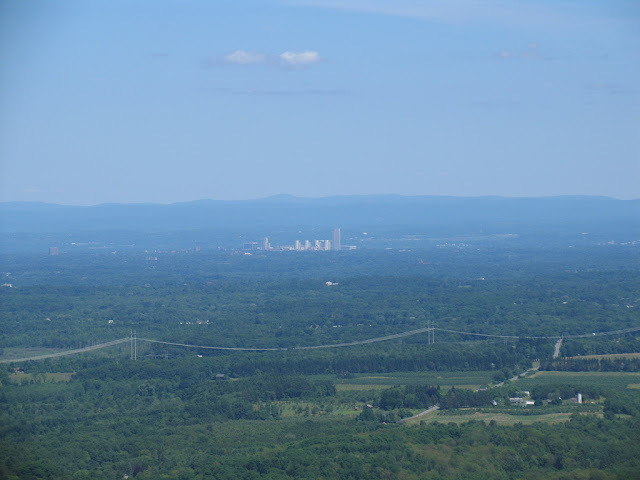 In addition to panoramic views of the valley and the Albany skyline, the Taconic, Adirondack, Massachusetts' Berkshire, and Vermont's Green Mountains can easily be seen. Since the escarpment is made of limestone, there are numerous small caves along the Indian Ladder Trail. 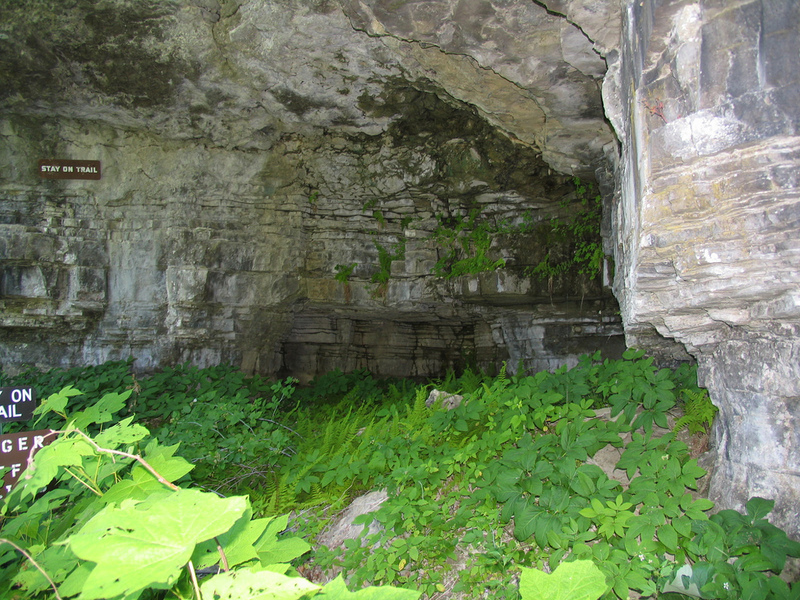 If you have time, try to locate various fossils within the limestone rocks. 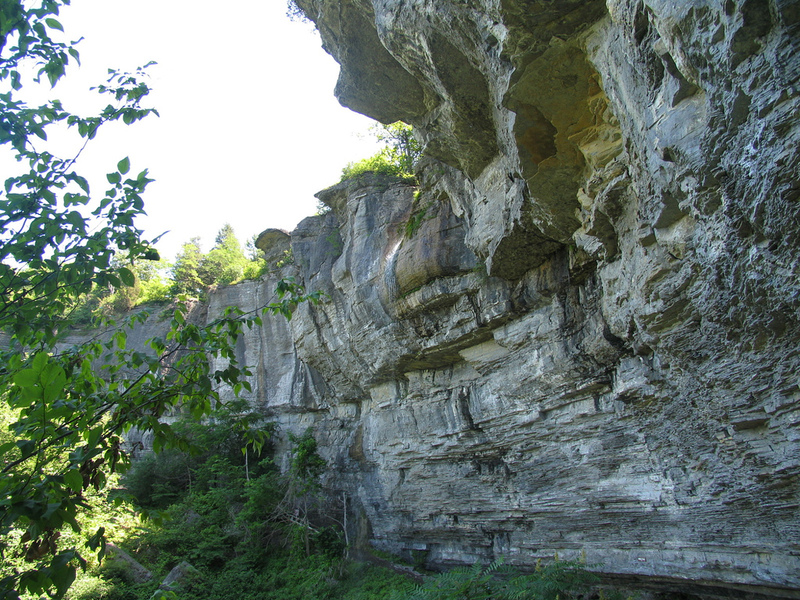 The escarpment and specifically the park is well known for fossils embedded within the limestone. Minelot Falls is another attraction along the Indian Ladder Trail. The trail passes under the 116 foot waterfall. Unfortunately, when I visited the falls were not as strong as they could be. In recent years, the park and trail has faced various closures or attempted in closures. In 2010, as a result of a state budget deficit, then Governor David Patterson attempted to close the park as a cost cutting measure. As a result of public outcry and local efforts, the park remained open. 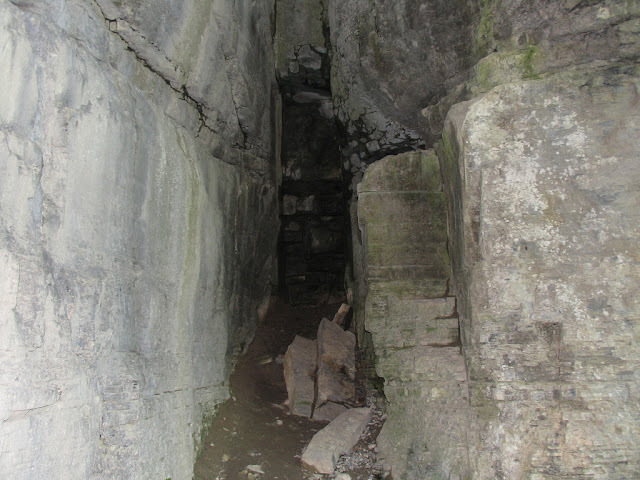 The Indian Ladder Trail was closed for nearly a year from July 2017 through June 2018 as a result of rocks from the escarpment falling and landing on a visitor. As a result of thousands of years of erosion there are many loose rocks along the cliffs of the escarpment that can pose a danger to hikers. The state conducted a scaling and clean up project that removed numerous loose rocks from the cliffs along the trail.